VW launches new high-power Amarok Aventura Exclusive and limited edition Dark Label at 2017 Frankfurt motor show. You didn’t think Volkswagen was just going to sit still and let Mercedes-Benz steal all its lifestyle pickup thunder, did you? 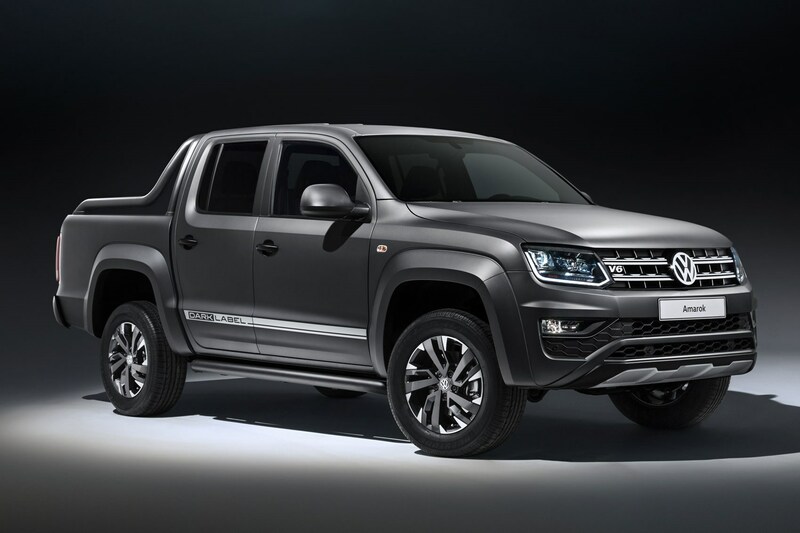 Having already upgraded the entire UK Amarok range to 3.0-litre V6 TDI turbodiesel engines well ahead of the Mercedes X-Class going on sale, VW has now announced an even more powerful version in the form of this Aventura Exclusive concept. How powerful? Try 258hp – the exact same amount that the range-topping Mercedes X 350d will muster when it goes on sale in 2018. 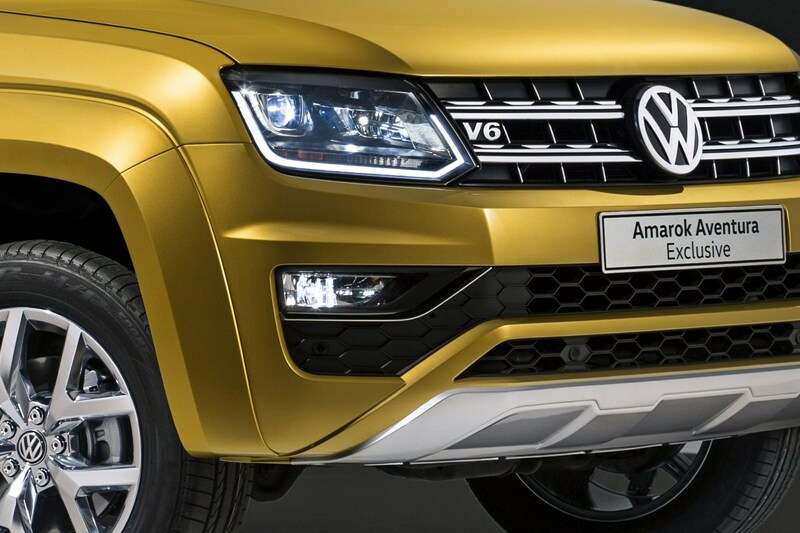 Is VW making a more powerful Amarok? 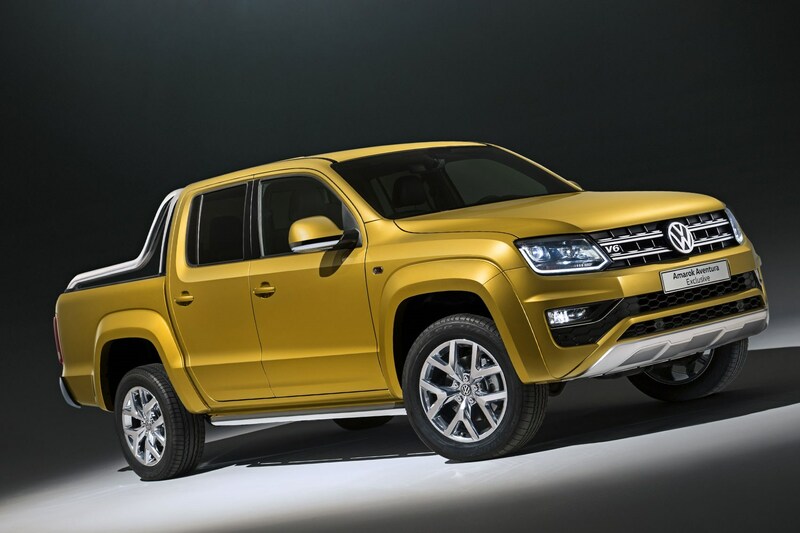 And what a look it is – again echoing Mercedes’ tactics with the X-Class, Volkswagen has elected to show the new Amarok Aventura Exclusive in an eye-searing shade of yellow. In this instance the paint is called Turmeric Yellow Metallic, and it makes the bluff, squared-off pickup appear rather like a giant gold brick. Those are 19-inch alloy wheels, incidentally, paired with an ‘aluminium look’ underbody guard and what VW describes as ‘a lot of chrome’. The lockable rear roll cover is built from aluminium for the first time, too. Beyond announcing the 258hp figure and confirming the new truck will feature an eight-speed automatic gearbox and permanent four-wheel drive (neither of which comes as much of a surprise), VW isn't saying a great deal more about the Aventura Exclusive’s performance potential. Some of you may even be disappointed that it doesn’t offer more horsepower than the forthcoming X-Class. But VW has revealed that this new engine variant will have ‘increased torque’. The current top-dog Amarok has 224hp and 550Nm – the latter figure matching the maximum available from the Mercedes. So the Aventura Exclusive will beat the X-Class for ultimate muscle. So it seems we may have a pickup power war on our hands after all. Does this mean the Amarok will finally tow 3.5 tonnes in the UK? What’s the Amarok Aventura Exclusive like inside? VW’s gone with relatively straight-forward black leather upholstery, jazzed-up with Turmeric Yellow contrast stitching. 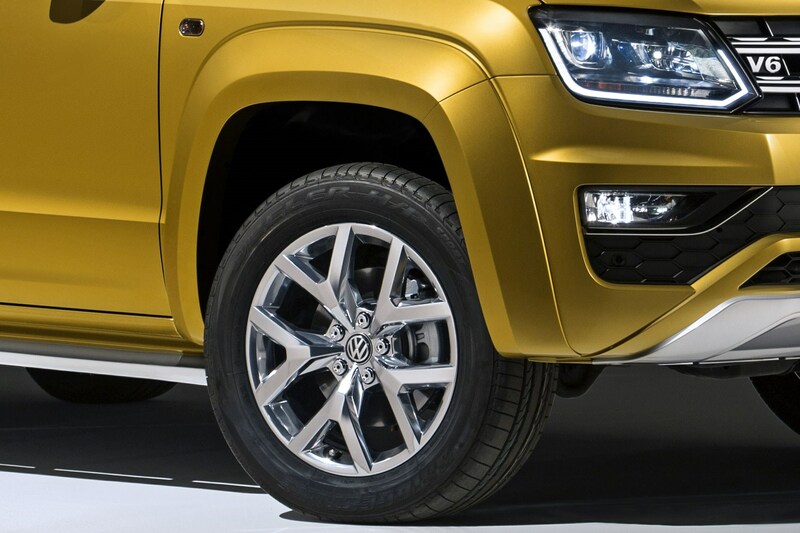 Perhaps more significantly, the concept also features black headlining – a first for an Amarok and a preview of what we can expect from production. The rest of the trim in finished in ‘titanium black’ with chrome accents. Standard equipment includes sat-nav, 14-way adjustable ergoComfort front seats and a steering wheel with paddelshifters for manual control of the gearbox. Any other news from the Amarok world? VW will also show an Amarok Dark Label special edition at Frankfurt 2017. Based on the existing Comfortline model rather than the top-spec Highline, this is finished in ‘Indium Grey matt’ paint (good luck keeping that clean), and features a number ‘dark coloured add-ons’. These include black side bars, matt black styling bars, door handles and door mirrors, and 19-inch alloys finished in high-gloss anthracite. 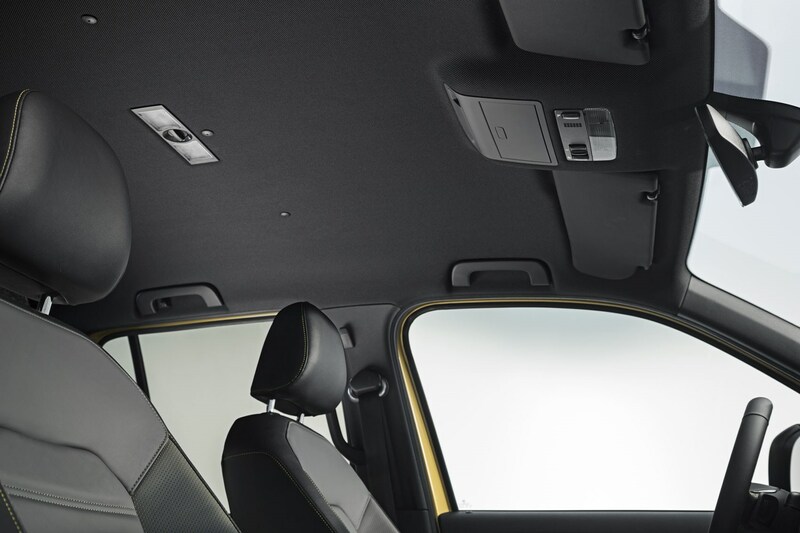 Again, the new dark roofliner appears on the inside, alongside floor mats embroidered with the Dark Label logo. 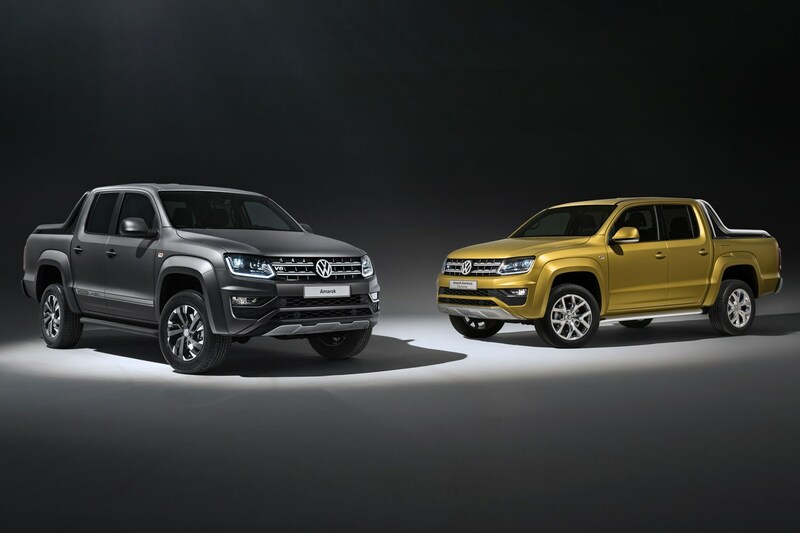 German buyers will be offered a choice of 163hp or 204hp – but at this stage we’re still waiting on confirmation whether the Amarok Dark Label will be sold in the UK.